A suspect is in the hospital after an officer-involved shooting that happened Sunday afternoon in Phoenix. 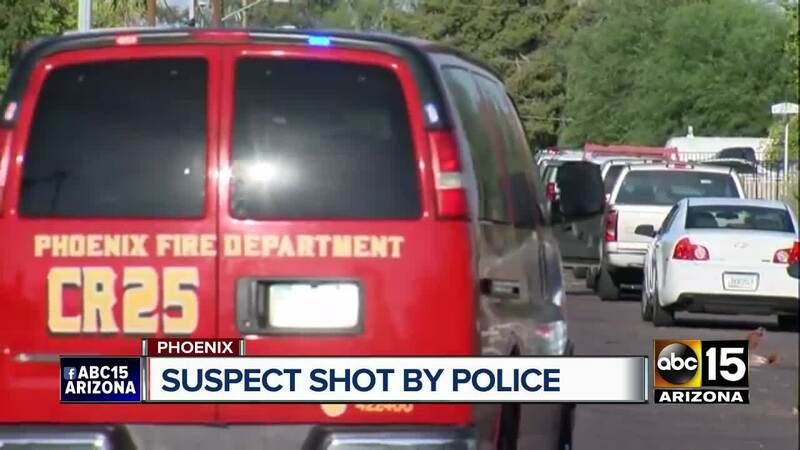 The Phoenix Police Department said a suspect was shot by an officer around 4:15 p.m. Sunday near 19th Avenue and Glenrosa Avenue. The incident started when officers responded to a report of suspicious people in an alley. When officers arrived on the scene they found three subjects. One of the suspects fled the scene on foot and officers chased him. The foot pursuit ended near 21st Avenue and Glenrosa Avenue where the suspect tried to jump a fence. The officer told the suspect to stop and drew his weapon. According to police, the suspect charged at the officer and grabbed his gun. The officer was able to maintain control of his weapon and shot the suspect. The suspect was transported to the hospital and is expected to survive his injuries. He has not been identified. 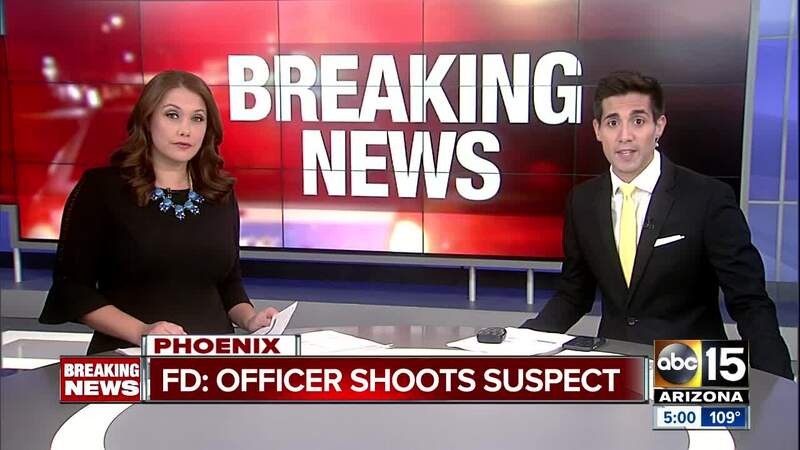 This incident marks the 58th officer-involved shooting in the Valley this year, and the 33rd in Phoenix alone.